Liz's Paper Loft: MCT January Release Blog Hop ~ thank you! Welcome to My Creative Time 63rd Release Blog Hop! You should have arrived here from Kim's fun blog! If not then be sure to head over to Emma's wonderful blog for the start! 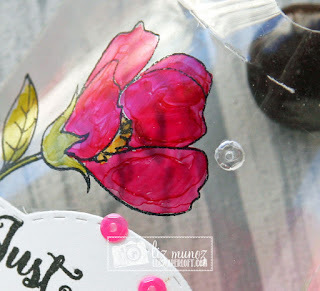 To create this "stained glass" look, after die cutting the pouch I stamped the flower on the outside with stazon ink. Next I used copic markers to color the image on the inside of the pouch. When coloring with copics on clear cardstock, you will always have streaking. So use it to your advantage and make the streaking purposeful. ***SALE ALERT***ALSO, DON'T FORGET our sale starts RIGHT NOW here:http://shop.my-creative-time.com/Ne...! Use the code: JAN2017 to receive a discount off your entire purchase! This sale applies to "IN-STOCK" items ONLY. This sale will end on Fri, January 27, 2017 @midnight PST. YOUR NEXT STOP is Nikki's fabbie blog! How clever to use acetate!! Love it. LOVE, LOVE, LOVE your clear treat pouch! The flower is adorable! Wow. I'm so glad you created this using acetate. I would not have thought of that. Now I have even more inspiration! Love, love this bundle. Oh wow, I am loving this!!!! What??? I never would have thought to make a clear box and how clever to stamp and color the flower! Fabulous job on the release! I absolutely love your clear treat holder! Gorgeous! OMG Miss Liz What a Gorgeous Treat Holder your stamping and coloring idea sure made for a Spectacular look. I'm in awe and the look is breathtaking. You so did a Super Outstanding Creative job!! Absolutely beautiful....and love,love, love the use of the acetate, stamping and coloring. Very pretty stained glass look! Great project! Love your stained glass look! 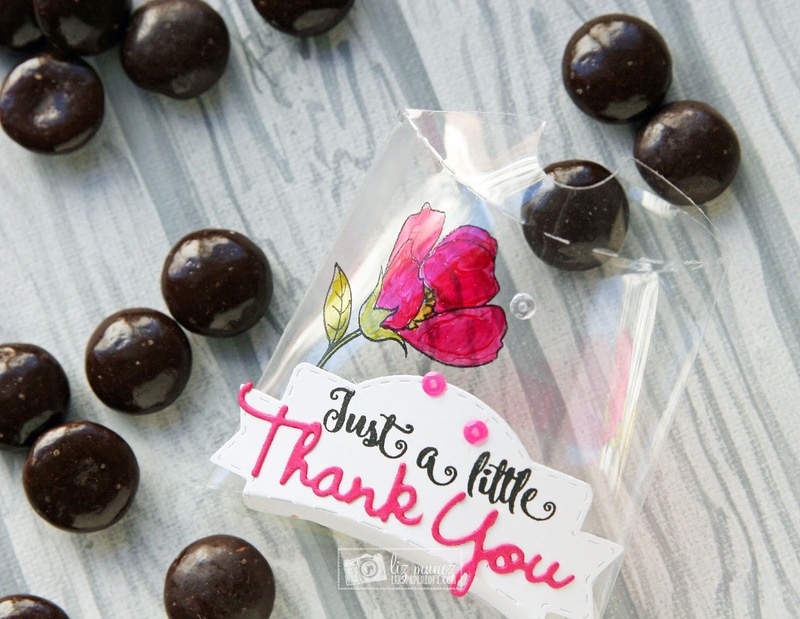 Your treat bag is so pretty and so creative. Love it. Absolutely beautiful & such a creative idea to to use acetate to get the stain glass look!bolvera66@yahoo.com Love It!! Cute clear treat pouch!! Great idea!! Ooh, I love this made out of clear cardstock! Just beautiful!!! you would keep as a treasure. The candy looks good too. Love the idea of a clear treat holder!! Your coloring of the flower is amazing! Love this! What a fun new idea! Love the stained glass look and your purposeful streaking with the markers. Brilliant!